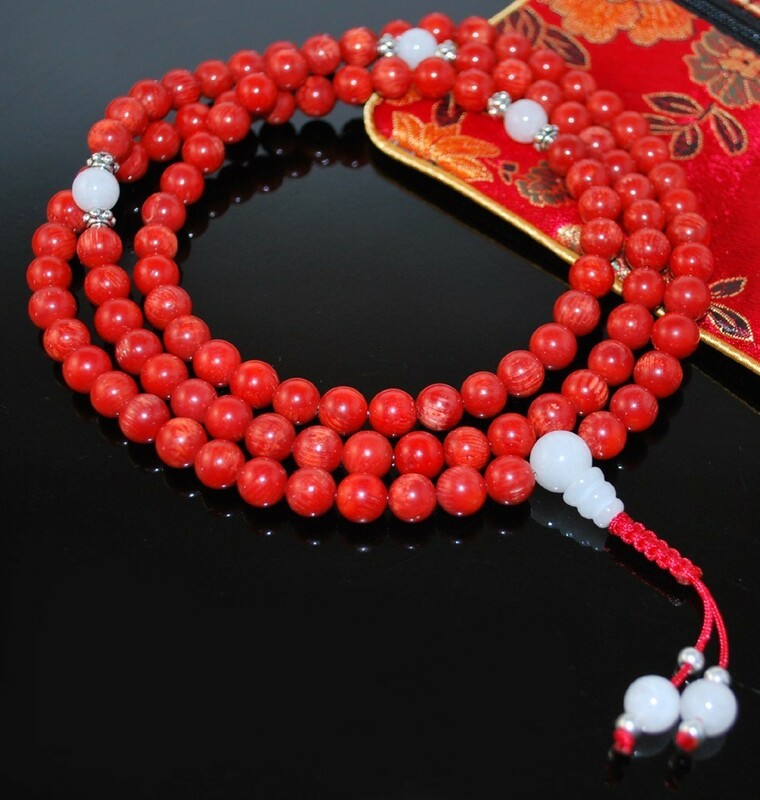 Red Coral Mala Prayer Beads, made of 7-8mm red coral beads, with white jade markers, finished with a white jade guru bead and snakeknot. 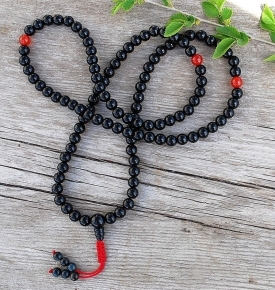 Red Coral has been treasured for centuries by Tibetan Buddhists, and is considered by them to be the most precious natural “stone,” and the supreme mala material. 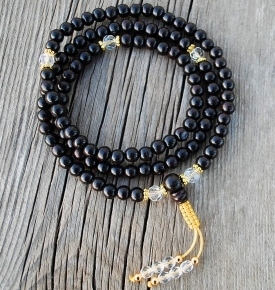 Tibetan Coral is often very old and fossilized, and each bead is quite costly. 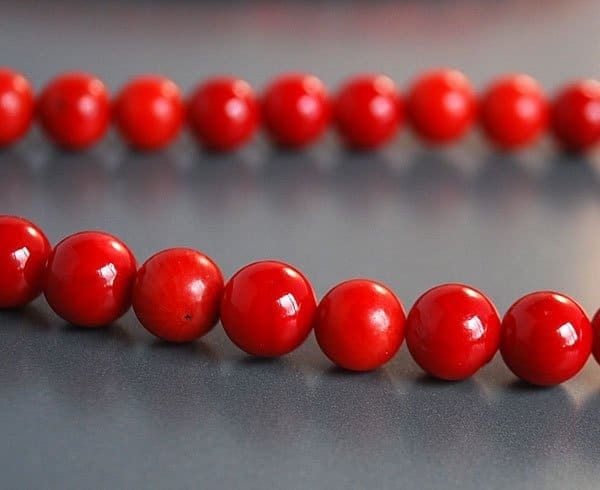 There is a ban on harvesting new Mediterranean Red Coral, as the reefs have been greatly disturbed and are endangered, so we cannot offer new Red Coral. 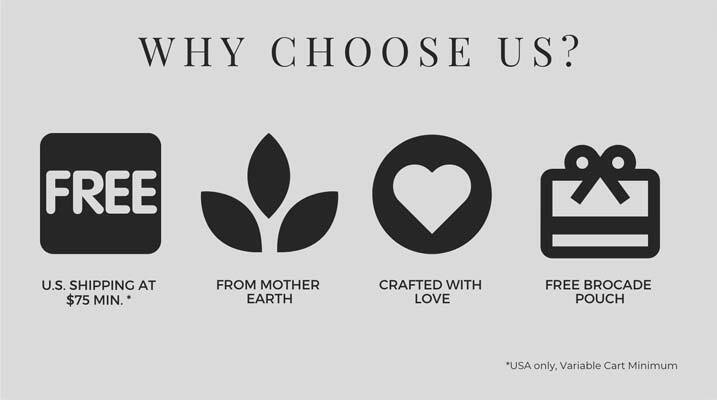 We offer real Pink Coral previously harvested from the Pacific, which is not endangered like the Mediterranean Red Coral. All Coral that has been harvested is increasing in value, and is very precious, as it will not always be available once the harvested lots are sold. Our Coral has been slightly color enhanced to bring out the rich redness in the Coral. 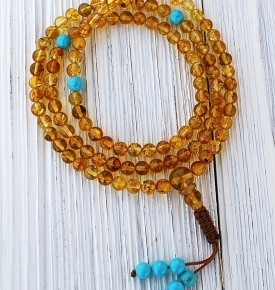 These beads are very lovely, round, and regular, and are stabilized to hold the color well. Please note that all real coral is inherently porous, and should not be considered a defect. Coral: Protects and strengthens one’s emotional foundation. It enables self-acceptance. 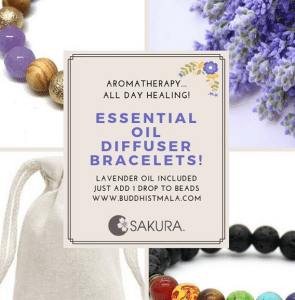 Deep red in Tibetan Buddhism is associated with the Padma family which represents compassionate and passionate energy. 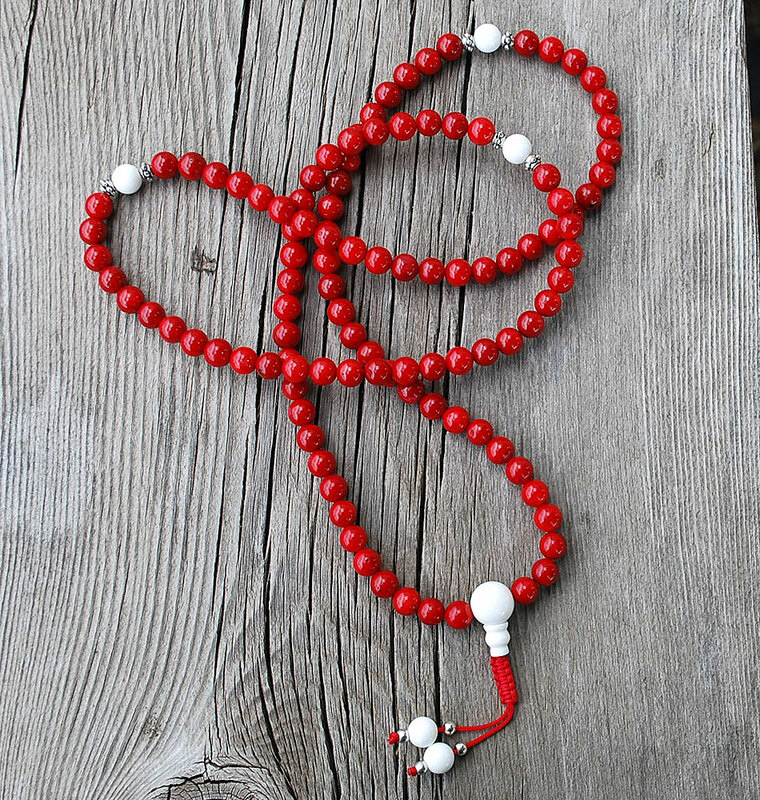 Coral Malas are particularly auspicious for any red deity meditation practice such as Red Tara, Vajrayogini (Dorje Naljorma), or Dorje Pagmo. White Jade: Dissipates negative energy, assists psychic energies, and increases generosity and well-being. The colors are really wonderful. Very nicely made. It’s every bit as beautiful as the pictures. 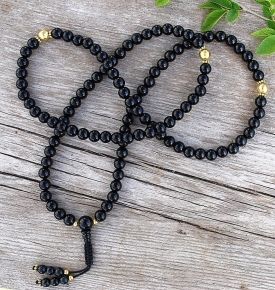 Beads are even more beautiful than on the photo. Great service, too. Thank you very much! thank you for the beautiful coral beads! I am very impressed. You can definitely tell the color enhancement on the beads as the red color kept rubbing off on my fingers as I chanted. Maybe the fading of the color will stop at some point? (fingers crossed). The string also loosened up after just one use on two separate sections. This is troublesome during chanting as I have to grab further for the next bead. I’m considering taking this product in and get it re-stringed and tightened up.